(3BL Media/Justmeans) – In the past two decades, there has been a lot of talk about the transformative power of technology in society, yet little attention has been paid to an emerging digital gap. Though Africa has recently seen rapid growth in Internet access, women are vastly underrepresented in technology. And in spite of the rise of cyber-cafes, it is men who have benefited more from them than women, because males have more freedom of movement to get to the cafes and have more access to make and spend money at them. Helping to address this balance is Samsung and its employees, who each year dedicate their time and skills to an initiative they feel will add value to one of the regions in which the company operates. This year staff shared their expertise with young Ghanaian girls through the handover of a new Samsung information and communication technologies (ICT) Centre at the Accra Bishop Girls Junior High School. Forty employees from Samsung's headquarters in South Korea gathered in Accra to participate in the company's annual Employee Volunteer Programme, a week-long initiative, aimed at empowering young girls with future-focused ICT skills. This work was in partnership with Better World. The Accra Bishop Girls' School is both a primary and junior high school with a total of 760 students. Though ICT currently forms part of the school's curriculum, it has historically been forced to rely on textbooks for learning because of the lack of ICT facilities. Now, through the new centre, students will have the opportunity to acquire technological skills vital to the new digital economy, which is particularly important when it comes to future generations of young women. The World Economic Forum’s Global Gender Gap Report highlights that there is still a 47 percent global gender gap when it comes to Science, Technology, Engineering and Mathematics (STEM) graduates at tertiary level. Therefore, enabling women to become technologically skilled can play a major role in getting jobs, being competitive in the job market and enabling them to pull themselves out of poverty. It is clear that if this group is ignored, problems such as economic dependency, violence against women and low self-esteem will continue to be perpetuated. Moreover, access to ICT can be essential for women entrepreneurs in starting and growing a business and overcoming barriers they face. Samsung is committed to helping further the development of STEM and ICT skills among women. The company hopes that through this initiative and others like it, it will be able to make a positive difference in the lives of many young African women and is passionate about advancing ICT skills among young women here. 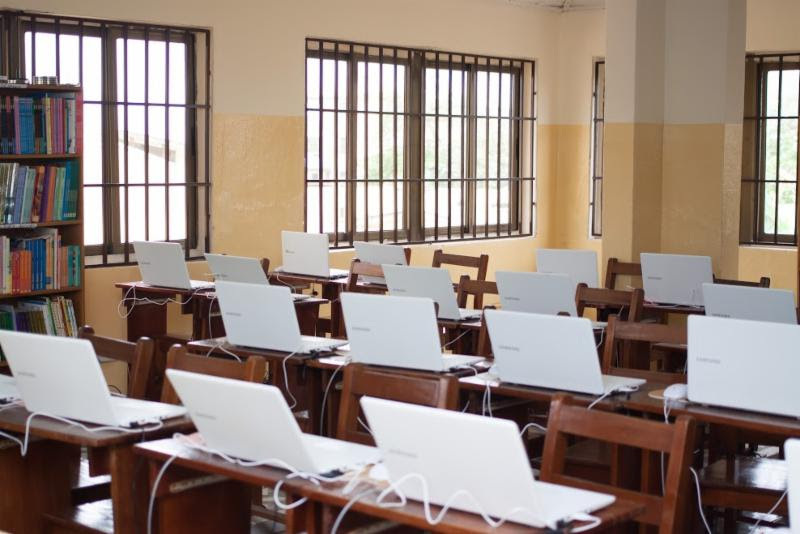 Last year, Samsung opened a Smart School in the Bole region and Eguafu District to provide teachers with basic computer literacy skills. It also launched the ‘Female Professionals in Electronics’ project in Ghana, in partnership with GIZ and the Korea International Cooperation Agency (KOICA). Overall, Samsung has been very active in the education space in Africa, through the roll out of Smart Schools, solar-powered Internet schools, technical programmes and engineering academies.